In this article we will discuss the using of iptables command to secure your Linux box. We will use it to add, delete, set policies, and flush the applied rules. First, we will give some examples to use the iptables command, then we will add rules to secure the most used Linux services. All modification done with iptables command are non-persistent “temporary”, once we reboot the system all our modifications will gone, once we finish working with iptables command we need to save our work to be persistent “loaded at boot, and halt time”. 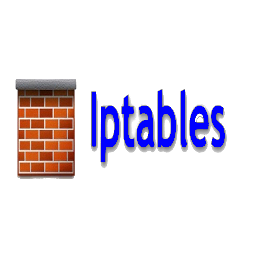 At the end of this article we will show you how to save your iptables rules. This article is suitable for using with any Linux family”RPM Family of Linux, and Debian family of Linux”. We need a user with a root privilege. If you are configuring iptables for RPM Linux family “Redhat /CentOS /Scientific Linux”, at least you should first read one of these two article Iptables for CentOS 7 or Iptables for CentOS 6, as I’m building on top of these articles. If you are configuring iptables for Debian Linux family” Debian 8 “jessie”/Ubuntu 14.04, and higher “, you should first read this article Iptables for Debian 8, as I’m build on top of this article also. [!] --version -V print package version. As you see from the above output, we use iptables version v1.4.21, and you also see the usage of the iptables, it’s options, and commands. If you need more details check the iptables man pages “man iptables”. In all of my rules, I’ll use the short options “i.e will use -A not –append“. Part 1: Checking the existing applied iptables rules, and removing them. As we see, this is not the default iptables rules, these are the rules we applied in our previous articles. Always use option “–line-numbers” when listing your applied iptables rules, we will need the rule number later with other commands. Let’s clear these rules. Now, we are ready to go and use iptables command in securing our Linux box. Part 2: Dealing with iptables command. Ordering is very important, when configuring iptables rules, and policies. I mean you must be very careful if you are configuring a remote server “connected through pseudo terminal device pty i.e using any remote terminal program xterm, screen, or ssh”. as loosing connections to your server will cost you some time. From the above output we see that there is a new packet appeared with rule number 3, which means that there was one try to login to this server using ssh. This rule only used one time till now. Now, it’s time to set our default policies for the three chains “INPUT, FORWARD, and OUTPUT”. We will set the default policy to “DROP” for INPUT, and FORWARD chains, and will leave it as it is “ACCEPT” for OUTPUT chain. By these policies, we will use our rules to define the allowed traffic and block everything else. This is the recommended approach for securing you Linux server. At this point, we added the basics iptables rules for securing our OS. Next we will make these iptables rules persistent rules. To use the above command, you must first install this Debian package “iptables-persistent“. Here’s we removed the ssh iptables rules “which has rule number 3”, of course you will need to save your changes using any of the above commands “depending on you Linux Os family”. 1. Do not delete the ssh iptables rule as I did in the above example, as I give only example for using iptables for deleting a rule. Part 3: Securing the most used Linux services. As we set out default policy to DROP for INPUT chain, we need to allow incoming connections for the public running services on our servers. Here’s the rules for allowing most services you may need to allow some of them. After setting all the rules , you need to save the rules to be loaded at boot, and halt time. In this article we have explained the using of iptables command with it’s options, and commands. We showed you how to list the applied iptables rules, how to add, delete, and set the policies for chains. All our rules applied using iptables cli, so you need to save your applied rules to be persistent. Finally we included the most used iptables rules for the most used services you will need to secure them.